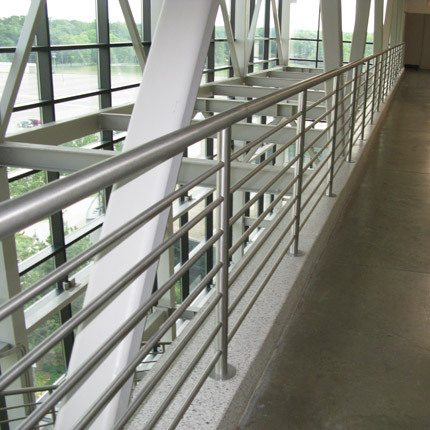 Stainless steel railing offers the ultimate in strength and durability. 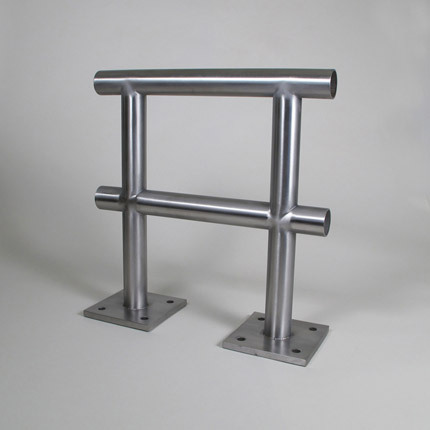 We offer a choice of 304 and 316 grade stainless steel in our railing. We also offer a choice of fuse weld or fill and grind finishes for joints. Call our Tuttle representative to find which combination is best for your application. 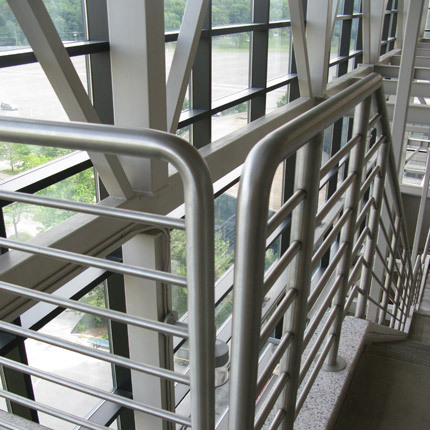 Stainless steel railing provides flexible polishing options. Different polishing options for our Stainless Steel railing can have anywhere from a brushed industrial look to a high end mirror finish architectural look. We also offer perforated metal in-fill panels and stainless steel cable railing. With so many different options, Tuttle is your best source for commercial stainless steel railing.